8 out of 10 shoppers say they would try food formula specifically designed for their pure breed dog. Feeding your dog a 6.7 oz. Rawhide Bone is the equivalent of a human eating 10 donuts. Feeding your cat a 2 oz. can of tuna is the equivalent of a human eating 6 donuts. 43% of dog and cat owners buy wet pet food on a weekly basis. Only 2 out of 10 dog owners stock up on dry pet food less than once a month. A cat on a dry food diet consumes approximately half the amount of water compared to a cat on a canned wet food diet. 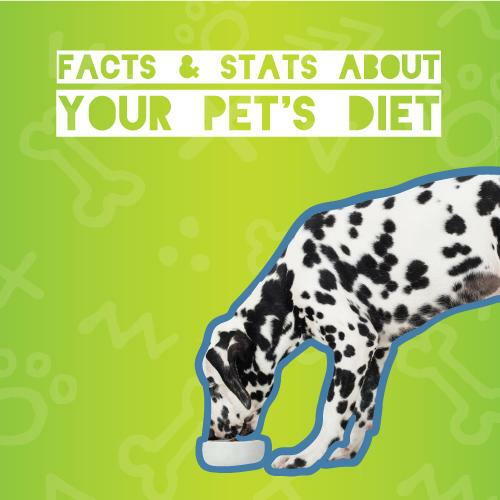 56% of dogs and 60% of cats are classified as clinically overweight or obese. Now you can get your pet’s dietary needs sent to your doorstep every month. Sign up for Autoship today and get free shipping!